The Powerball lottery is hitting a record jackpot of $1.5 billion, but the odds are stacked against you. 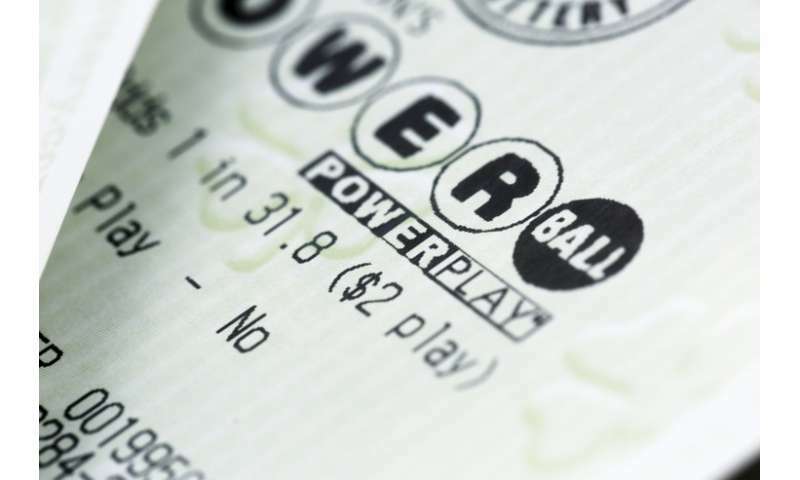 Lottery officials have announced the Powerball jackpot has reached a record-smashing $1.5 billion. That has sent fortune-seeking Americans to gas stations and grocery stores in droves to try their luck. Unfortunately, the odds aren't ever in your favor. Dr. Lew Lefton from Georgia Tech's school of Mathematics crunches numbers like these for a living. Saying that your chances are slim to none is a complete understatement. "There are 292 million possible winning combinations," Lefton says. That means you have a 1 in 292 million chance of winning. So just how unlikely is that? Imagine you walked in to Georgia Tech's Bobby Dodd Stadium and placed a penny on the field somewhere. Then, you asked a friend to put on a blindfold and walk into the stadium with a penny as well. If they placed the penny in the exact same location, that would be 15 times more likely to happen than winning the Powerball jackpot. Imagine rolling ten dice all at the same time. If all ten landed on the same number the very first time you tried, that's still five times more likely than winning the $1.5 billion dollar jackpot. Dice aren't your thing? You're 500 times more likely to get a royal flush in the first five cards you are dealt than taking home the big prize. "There isn't a way to improve your odds," Lefton explains. So forget what you might have heard. But, you can increase the chances of you winning the jackpot all by yourself. "Play numbers higher than 31," Lefton says. Many people play birthday numbers so choosing higher, less-popular numbers decreases the chances of sharing the pot. Also, people statistically choose odd numbers more often. Choosing high, even numbers is your best bet according to Lefton. Lefton says very few mathematicians like himself spring for tickets because they are the first to know the odds are so astronomically against them. But talking about odds, keep this into consideration when March Madness rolls around: You're 100 times more likely to win the Powerball twice in a row than you are selecting a perfect NCAA basketball bracket. The chances of a flawless bracket? 1 in 9.2 quintillion. The number of points on a surface are infinite. For example, the chances of hitting a wall in my living room with a ball are therefore 1/infinite. But we know even when the probability is so low, the chances of hitting it with a ball are very high. A classic paradox of statistics. While this article mentions the odds of your numbers matching the winning ones, it doesn't contemplate the expected payback. Part of the problem is estimating how many winners there will be, and how many tickets will be sold. Nor does this discuss exactly what the prize money will be because according to Wikipedia "All non-jackpot prizes are fixed amounts (except in California); they may be reduced and paid on a parimutuel basis, with each member paying differing amounts for the same prize tier, if the liability exceeds the funds in the prize pool for any game member"